Comments Off on Consumer—A Trust is not a person and therefore not a consumer. Comments Off on Insurance—Theft of Vehicle—Lift given to strangers, who later stole the truck—Insurance Company held liable to pay. Comments Off on Medical Negligence-Plastic Surgery-Failure to get the biopsy done indicates that doctors did not exercise reasonable degree of skill and knowledge which was expected in such cases-Compensation of Rs. 10 lakh awarded. Comments Off on Consumer—Courier Service—No proof of delivery of goods is available— Therefore, a case of continuing cause of action. Comments Off on Insurance—Interest on claim—Delay in Surveyor’s Report—Insurer, therefore, must compensate the insured for this deficiency in the service. Comments Off on Consumer Protection Act, 1986, S.12–Education–Misleading advertisement-Institute did not file any documentary evidence that it was recognized by the Government in any manner and was affiliated with any state or central university-Contention that Diploma Course in Veterinary pharmacy is not governed by any statute; not accepted-Order directing refund of fee with interest upheld. 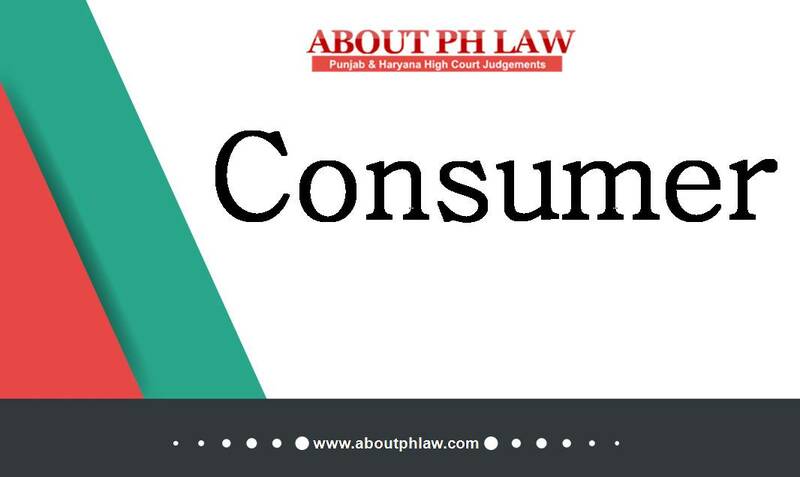 Comments Off on Consumer Protection Act, 1986, S.12–lnsurance–Theft of Vehicle-Delay of 21/2 months in giving intimation of theft by insured to insurer-It amounts to breach of policy-­Insured was obligated to give intimation immediately after theft came to his knowledge-Mere intimating the police or lodging FIR does not amount to sufficient compliance-Claim held to be rightly repudiated. Comments Off on Consumer—Registered society providing hostel facility on nonprofit basis is consumer within meaning of Act.